Take part in the Fun Run 2 km, which will be held in Balti, April 30, 2017. Everyone is allowed to participate, regardless of age. Before the start, the first 3000 people will receive a commemorative t-shirt with Balti Half Marathon symbols, in which they can run a distance of 2 km. Please note that the race itself is more entertaining than competitive. The route is 2 km, the participants will run together 20 minutes from Vasile Alexandri Square past the central park, reaching the street. M. Vityazul turn around and finish in the square of V. Alexandri. Register for the Run Fun Run now and be part of the first half marathon in Balti! 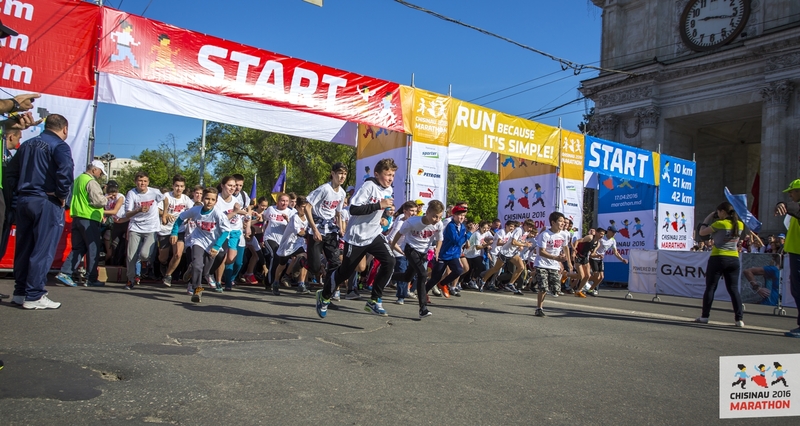 On April 30 we are waiting for you at the central Vasile Alexandri square in Balti, where in the framework of “Balti Half Marathon” there will be races on 21 km 0975 m, 10 km, Fun Run 2 km and Kids Run Day – 200 meter children’s races (April 29).